Based on Singaporean Maths, SAM’s Award Winning Curriculum and Pedagogy is the most relevant and most comprehensive Maths enrichment program available today. With over 30,000 pages of carefully crafted thinking worksheets, and combined with motivating and creative classroom experiences, the SAM Approach makes learning fun and interesting. Students learn at their own pace through an individual based Step-Up process that is thoughtfully prescribed by a qualified SAM Trainer. Singaporean Math is reputed to be one of the most successful national programs in the world, according to the TIMSS (Trends in International Maths & Science Study) survey, since 1995. The Singaporean Math curriculum and pedagogy is unique and revolutionary in its approach towards the subject. 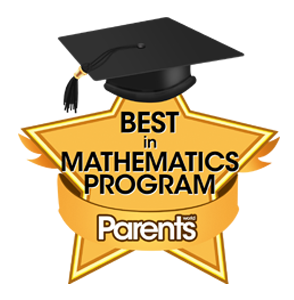 It is very effective as a stand alone curriculum or a supplement to any existing school math program in the US.